It’s a pretty crazy time, and you’ll do well to remember that when it comes to guiding your children through their own teenage rollercoaster. Here are a few tips to helping them achieve the happiness and fulfilment they deserve, in what can be a difficult time. As your children get older, the parenting dynamic changes, and the teenage years are a time for you to act as both a parent and friend to your child. What’s of utmost importance is that you are there for them in their times of need, of which there are plenty as a teen. You need to be a dependable soundboard, a shoulder to cry on, and a font of advice as and when required, and your ability to help your child through tough situations will only strengthen your bond. It is, at the same time, a fine balancing act between being there for your child, and allowing them space to begin to spread their wings. So, while you’re still spending quality time together, make sure they have time for themselves as well. Yes, you are being a parent and a friend, but you are a parent first and a friend second. Even as you begin to treat your child as more of an adult, they still need clear boundaries, rules and standards of behaviour to adhere to. Even in the face of hormonal tantrums and big fallouts, it’s important you hold your teenager to the standards of behaviour you’ve always expected of them. It can be hard going, but they’ll thank you for it in the future. It’s inevitable that technology is going to be a big part of your child’s life, but try not to allow your child to be fully enveloped by their phone, tablet or games console, both for the sake of your relationship and their mental health. The negative effects of the Instagram bubble and other social media are well documented, so try and limit your child’s daily exposure to keep them in a good headspace. Similarly, look to ensure some phone down time completely so you can enjoy face-to-face interaction. Finally, if your child spends a lot of time gaming or on their computer, move the associated devices into communal areas in the house. This way, you’re not losing them to their room for the entire day. One great way to escape the pitfalls of too much technology is to encourage a healthy lifestyle for your teen. This starts with diet, which you control as the head of the house. More so than diet, actively encouraging your child to take on some form of sport or exercise is a great way to keep them out of the bedroom, off their phone and boosting their physical and mental wellbeing. Sports can play a significant role in an adolescent’s development, improving fitness, self-esteem and academics. Sport also presents an opportunity for independence that teenagers enjoy. By organising transport to and from sporting activities instead of parental lifts, your child will be able to enjoy a few hours away from home on their own. Allied Fleet provide a range of school leasing options to facilitate things like this. 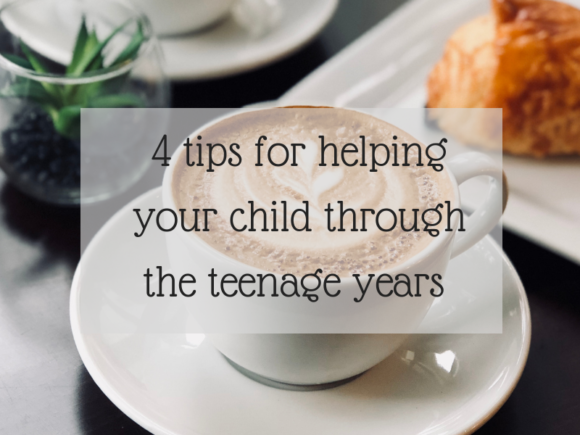 Of course, when it comes to helping your child through their teens, there’s only so much you can do. Things won’t be perfect and there will be ups and downs, but by doing your bit you’ll make a huge difference to one of the toughest, but best, periods of their life.